Gull Dam Nitro Chocolate Milk Stout - AoM: Beer et al. Unfortunately, as it sometimes happens, I didn't take enough notes on this beer. 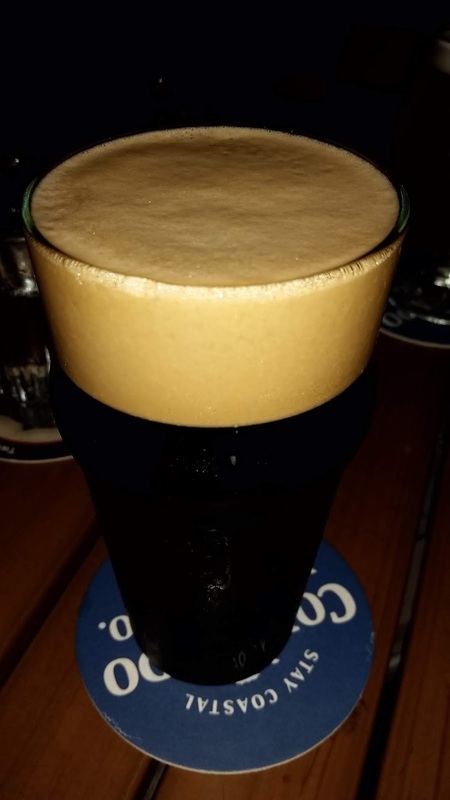 Gull Dam Nitro Chocolate Milk Stout. That's a lot of head. Welcome to winter with our Chocolate Milk Stout, a silky smooth body with hints of roasted malts, milk sugars brewed with milk chocolate and exotic cocoa nibs for a layered chocolate taste and aroma. It is topped with a creamy nitro tan head that makes it extra frothy. Comfort in a glass!